Right off the dealer lot, the front end sits just about 3 inches lower than the rear to balance out a potential payload that would weigh the back end down. Not everyone uses a truck as a truck, at least not all the time anyway. So instead of relying on hauling around heavy stuff in the bed to level out a truck’s stance, why not just lift the front end 3 inches? 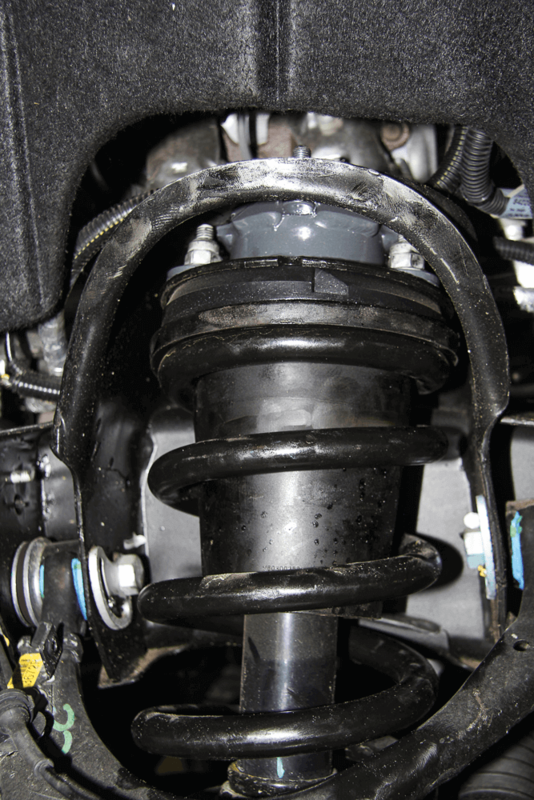 This option really is the happiest of mediums when it comes to a suspension lift, since it’s mild enough to not require any specialized fabrication, and it leaves the truck looking much taller and more aggressive at all times. 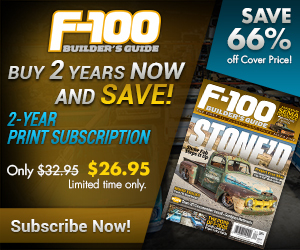 A bonus to the 3-inch bump is the ability to add a larger wheel and tire combo to capitalize on the new look. 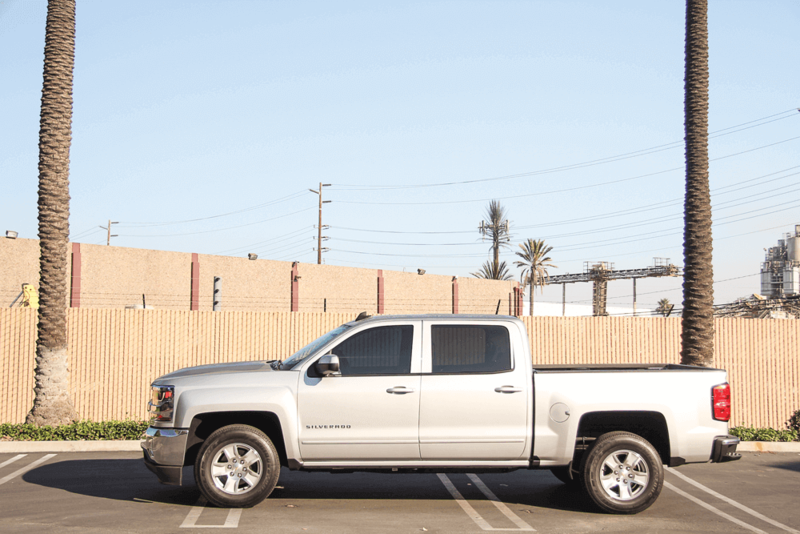 To help our ’18 Chevy Silverado move on down its path of levelness, we paid a visit to MaxTrac Suspension’s SoCal headquarters to have its 3-inch front leveling strut spacer kit installed. 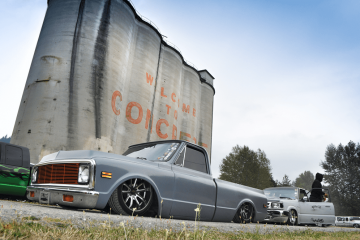 While there, we met up with Jeff “JJ” Simpson who would ultimately be responsible for altering this Silverado’s prior meek demeanor. 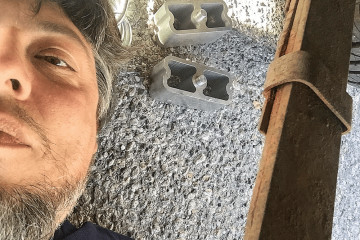 This install of MaxTrac’s leveling kit can easily be completed before lunchtime, but JJ can typically get the job done before his second cup of coff ee. He has agreed to slow his pace for the camera as we capture the art that is a simple suspension leveling kit. 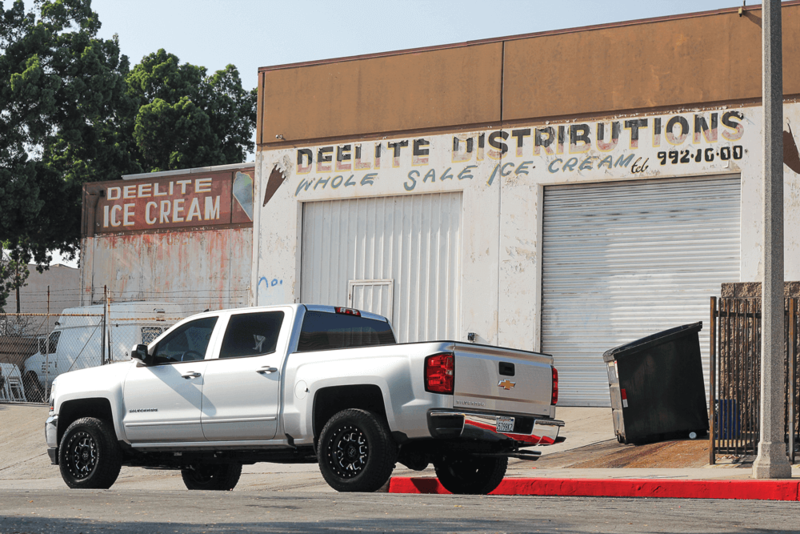 And to make the most of the fresh suspension alteration, a set of 18- inch Black Rhino “Alpine” wheels were selected to grace the truck’s modification list. 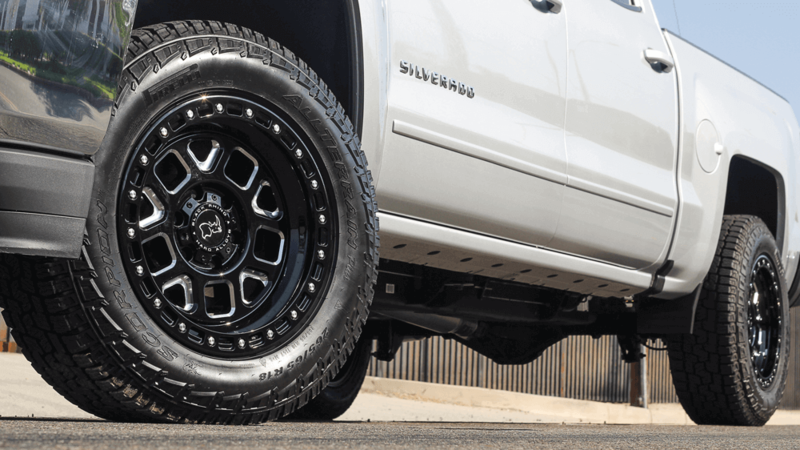 The gloss black finish along with the milled spoke details would soon complement the Silverado’s silver paint perfectly. These wheels off er rough yet refined characteristics that work almost too well for this application. And to better increase the Chevy’s capabilities, Pirelli Scorpion All Terrain tires will provide off -road performance on any surface including loose gravel, sand, mud and snow. 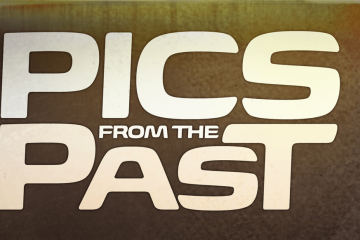 Although the truck will see paved highways a high percentage of the time, knowing that it can also competently handle the roads less suggested is great for a driver’s confidence. 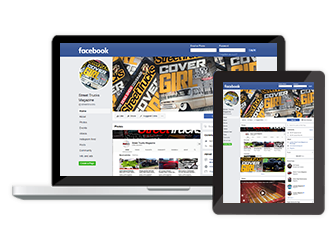 Follow along to see just how easy and quick is to level out you truck’s fresh-from-the-factory suspension height. 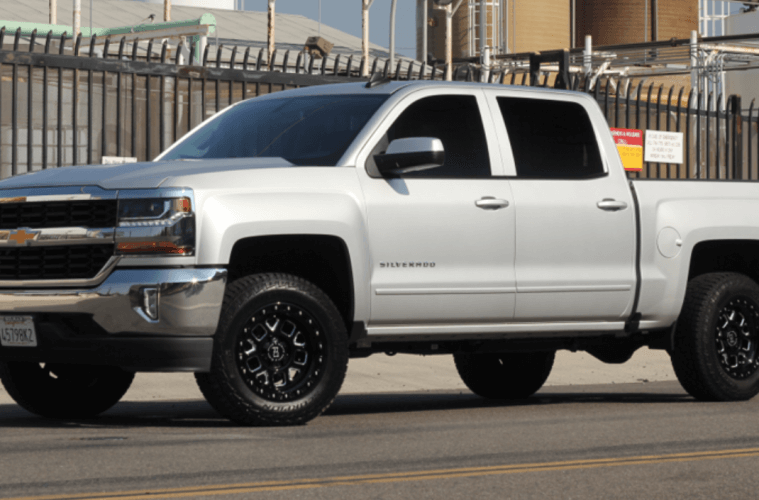 Although this ’18 Silverado is brand new, it’s lacking style and personality. This will all change soon enough. 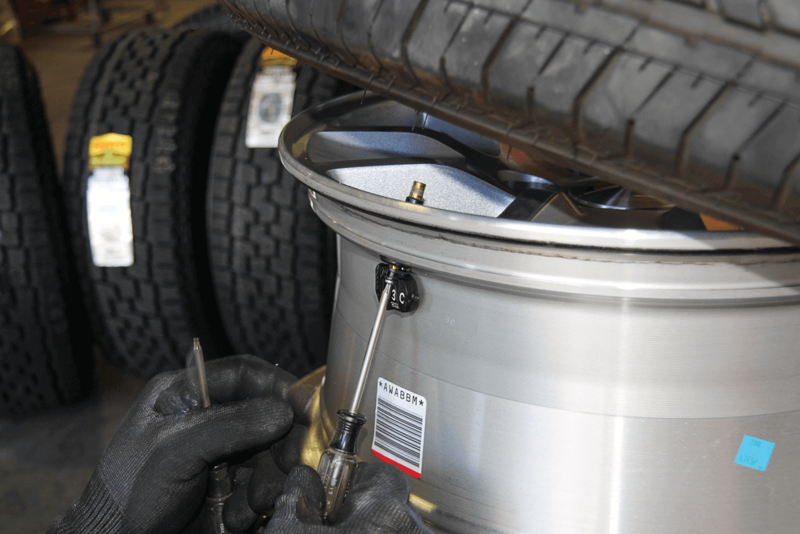 MaxTrac’s 3-inch strut spacer leveling kit (PN 831330) will lift the front end a full 3 inches to match the factory rear ride height. 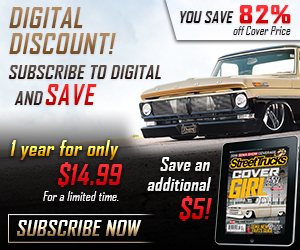 This particular kit is also compatible with ‘07+ GM 1500 pickups as well as 2WD/4WD SUV models. 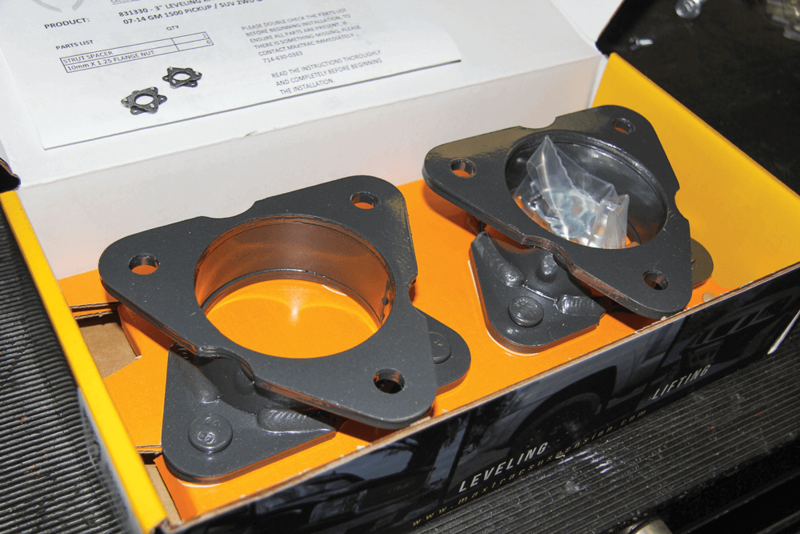 The contents here are few, as the box contains only a pair of strut spacers and a bag of hardware, which makes for pretty straightforward installation. 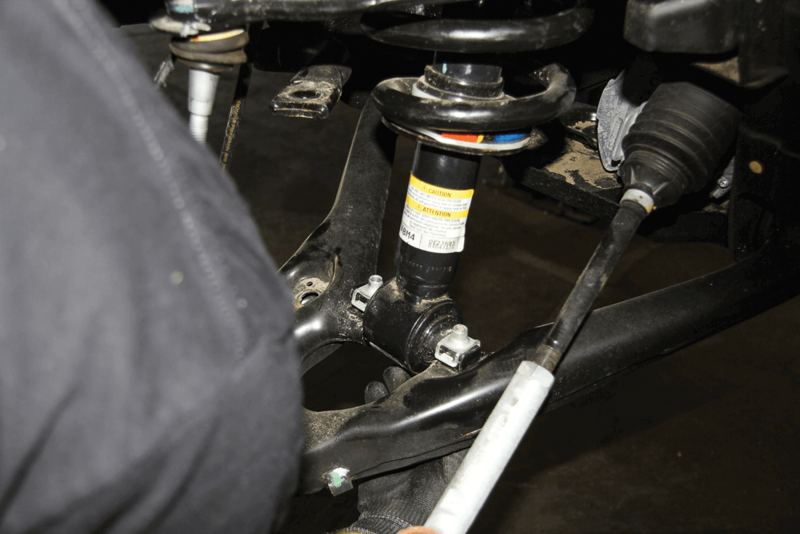 With the truck on the lift, JJ first started the installation by removing the factory front wheels and unbolted the tie rod end at the spindle. Next, the sway bar end link was unbolted and removed. 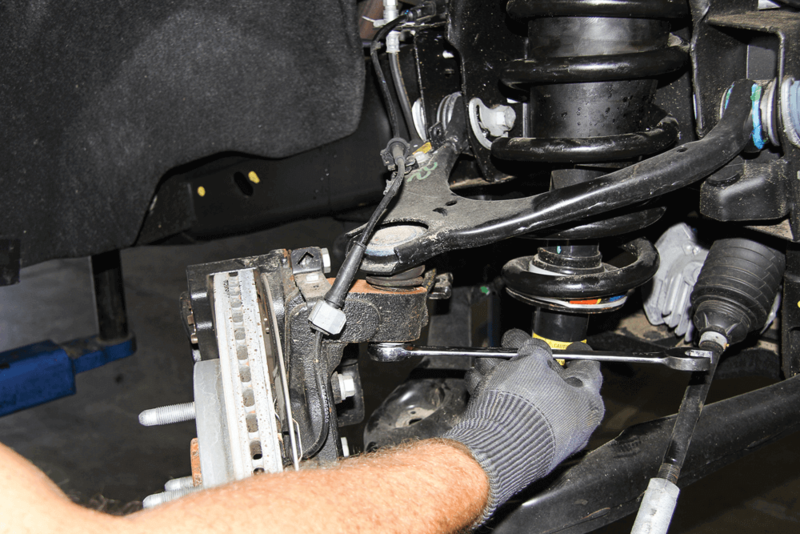 The lower two bolts that secure the bottom of the strut to the lower control arm were then loosened and removed. The top three bolts that hold the strut assembly in place were then unbolted, which allowed the assembly to be lowered and removed. 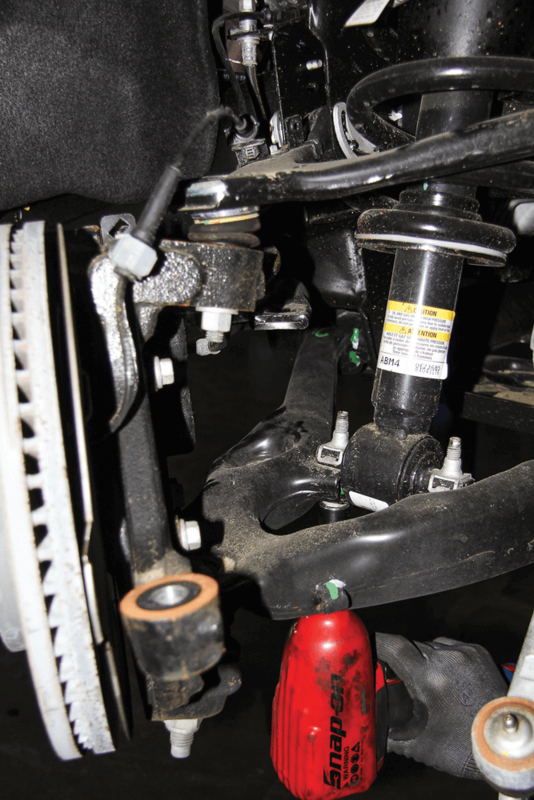 With the strut assembly out, JJ then bolted the MaxTrac strut spacer to the assembly utilizing the factory hardware. The three factory bolts required trimming so they no longer sat at the top of the strut spacer. 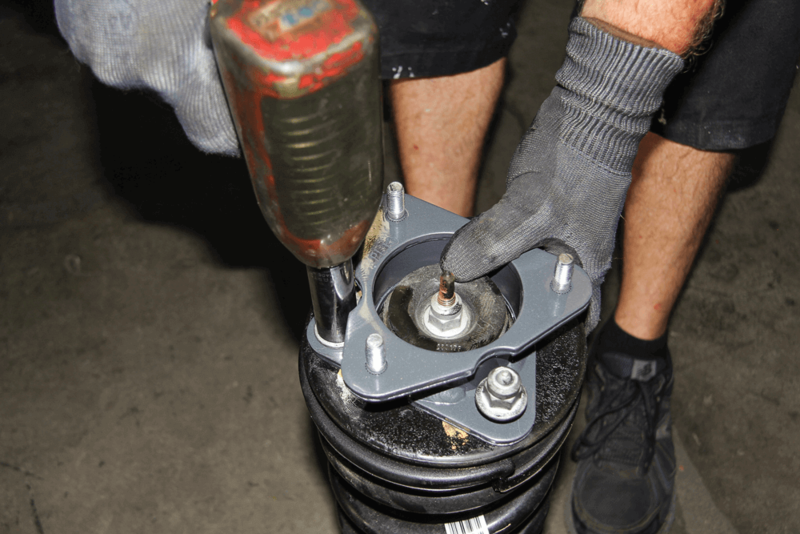 Due to the different position of bolts on the top of MaxTrac’s strut spacer (as compared to the factory bolts that were just trimmed), the entire strut now needed to be rotated 180 degrees to be properly reinstalled. This can be done before it is pulled out with the three top bolts still securing it, or after it is removed with the help of a vise or JJ’s weapon of choice; a strut compressor. 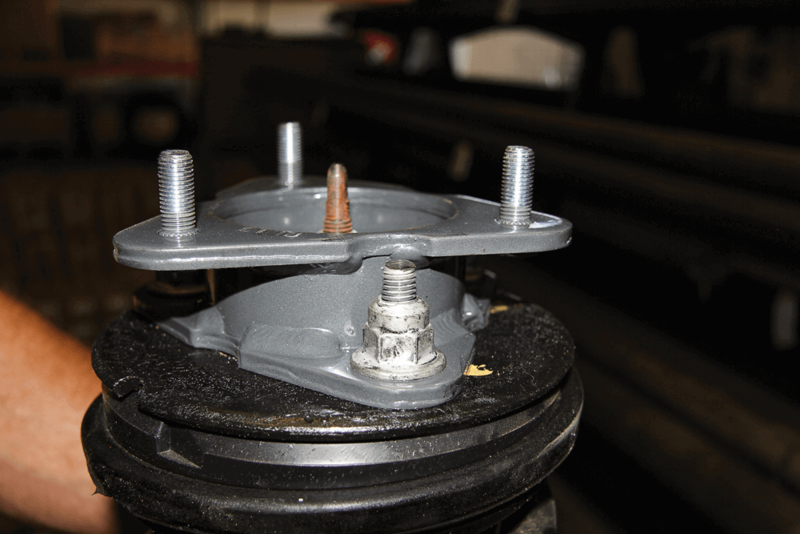 The strut assembly was then put back into place and the three top bolts were attached but not fully tightened. 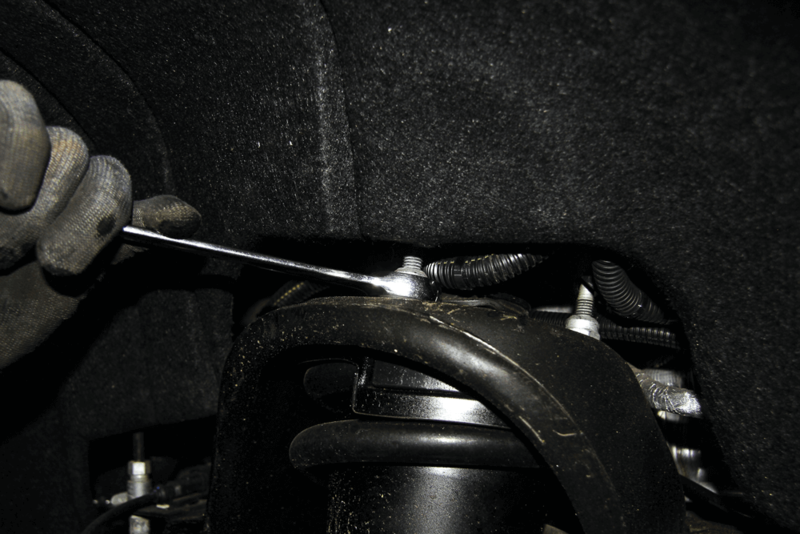 Since the strut assembly is now 3 inches taller that factory length, additional room would be necessary in order for the bottom of the strut to be secured to the lower mounting points. 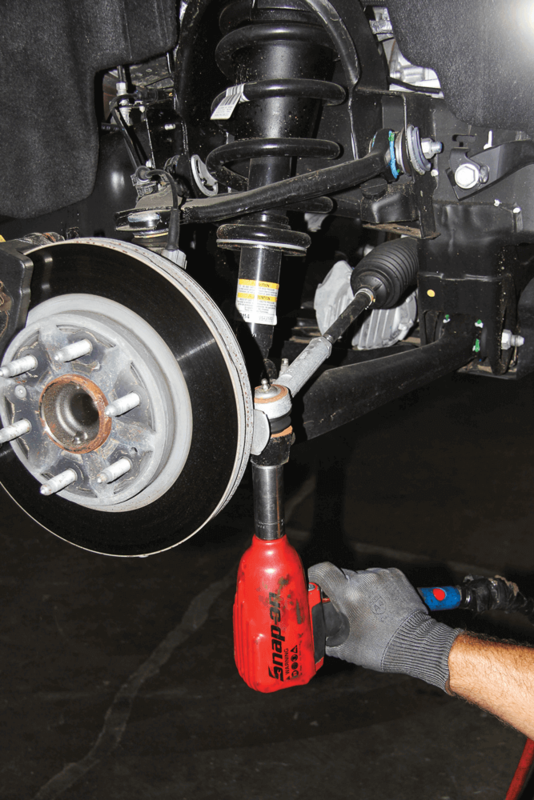 To do this, JJ loosened the upper ball joint nut but did not remove it completely. The upper ball joint needed some brute strength to break it loose. A couple swift strikes from a heavy hammer did the trick, and the nut that was left on, was done so to catch the spindle from free falling once the ball joint finally loosened. 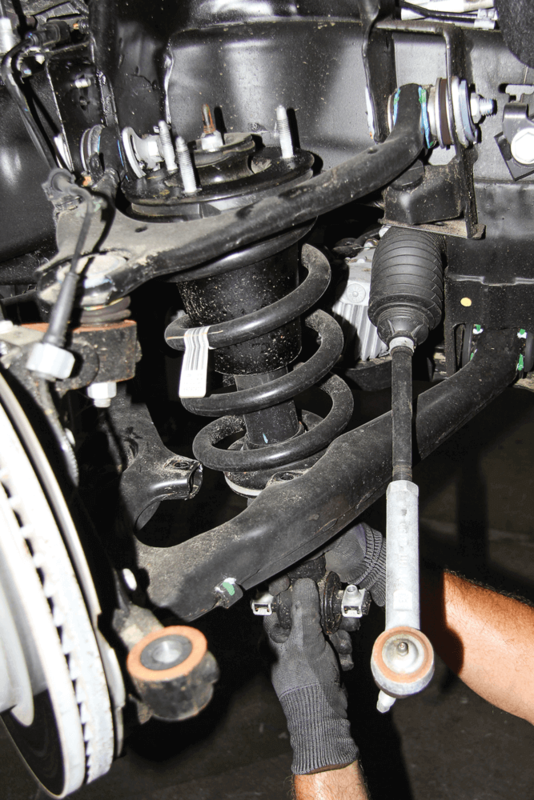 The lower control arm could now be lowered, and the bottom of the strut was bolted back into position. 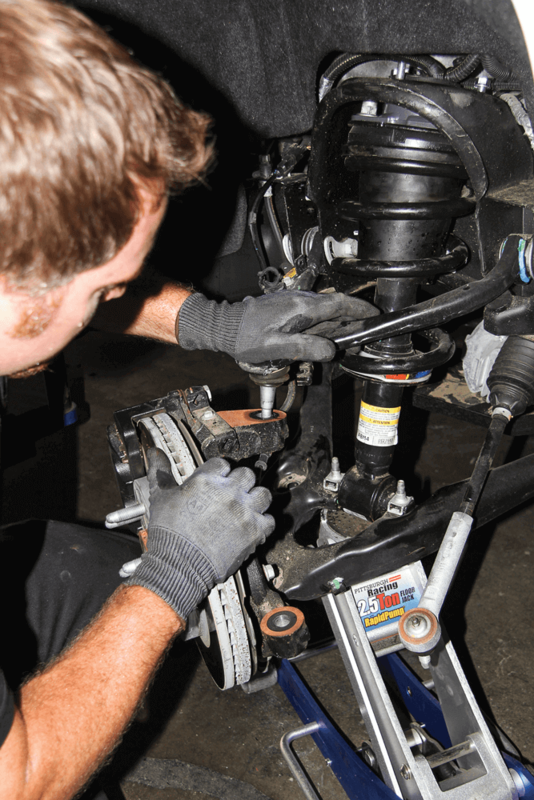 The truck was then lowered on the lift and a floor jack was used to assist with reassembly process, starting with the upper control arm to the spindle. 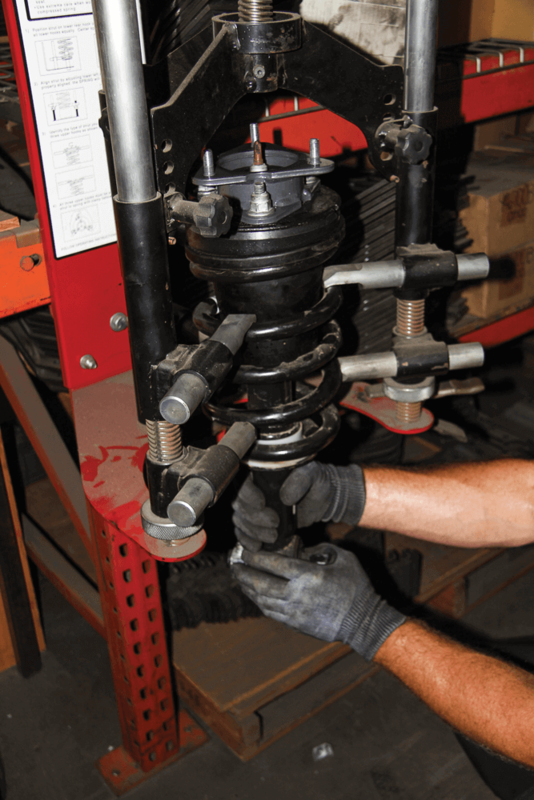 …followed by the tie rod end to the lower point of the spindle. 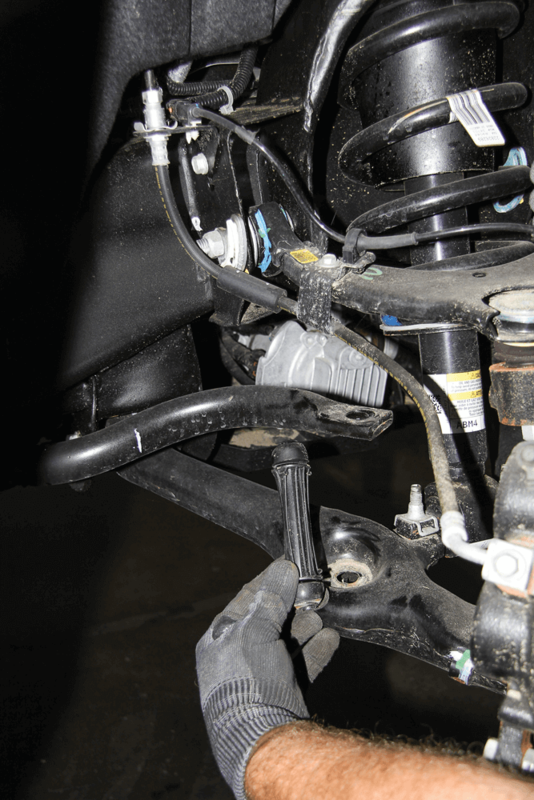 The sway bar link was then reinstalled, which was made easier by first loosening the opposite side of the sway bar giving it more play. 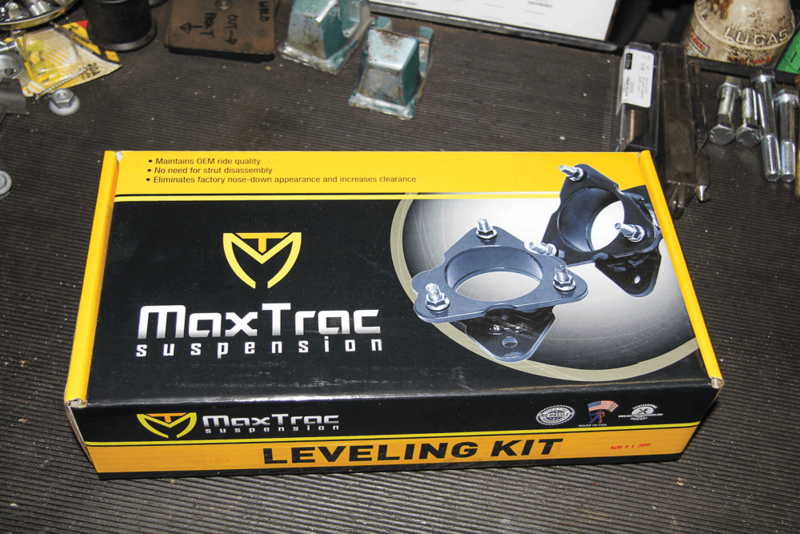 Just like that, the MaxTrac strut spacer kit installation was complete. 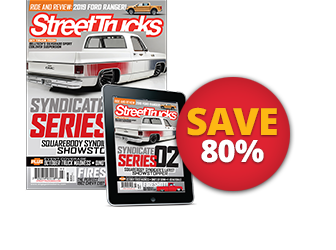 It’s clear to see how the spacer provides the 3-inch lift in front end height. 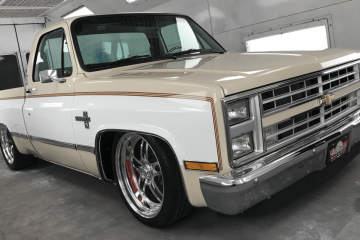 18-inch Black Rhino “Alpine” wheels were selected for the truck because of the attractive gloss finish and milled spoke details. 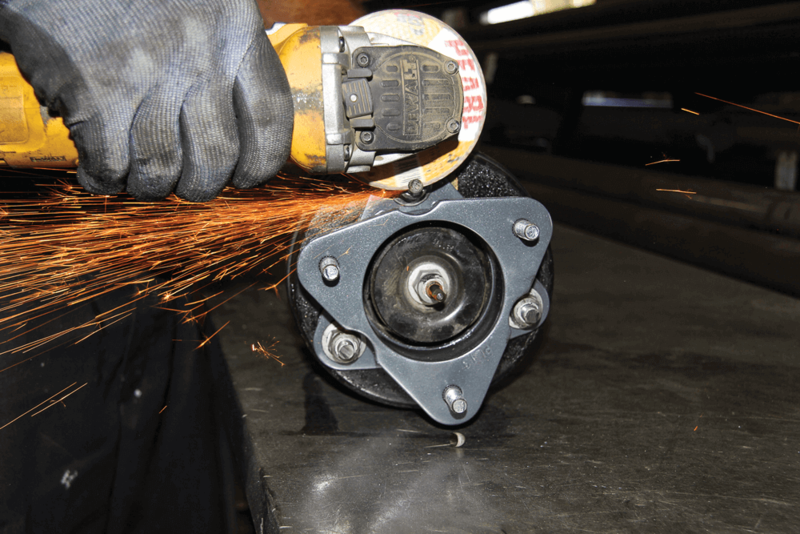 The simulated beadlock gives the wheel an enhanced off-road appearance, and functional drain holes will prevent water and dirt from being trapped within the wheel. 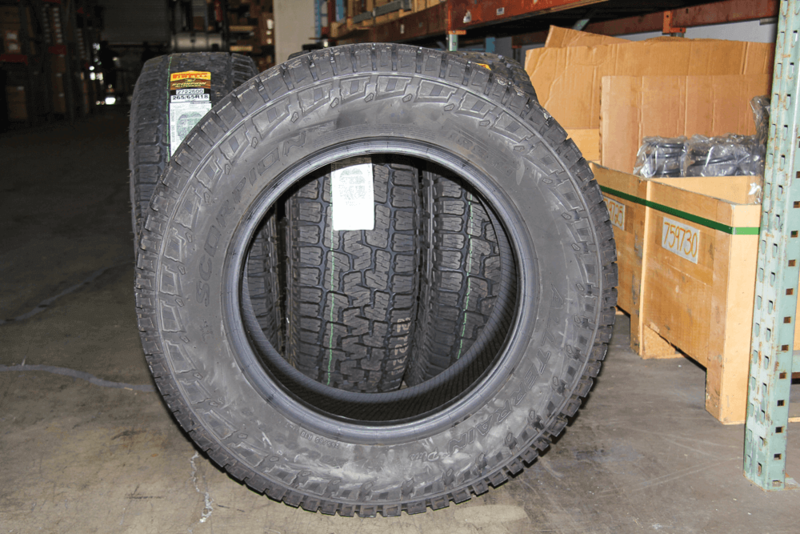 265/65R18 Pirelli Scorpion All Terrain tires will be ideal for the truck, as they will deliver superior handling on all surfaces and feature a specially designed tread pattern to efficiently propel them through water, mud and loosely graveled roads. 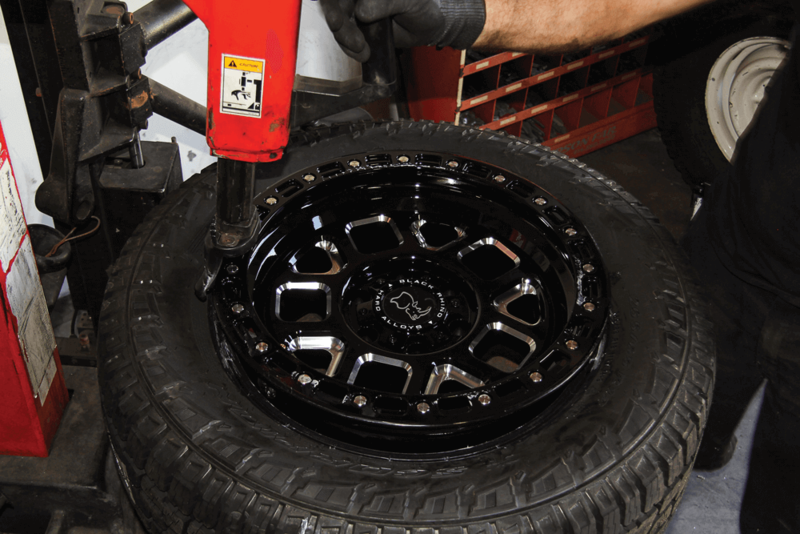 JJ then removed the factory tire pressure sensor from the factory wheels, which were then transplanted onto the Black Rhino wheels. 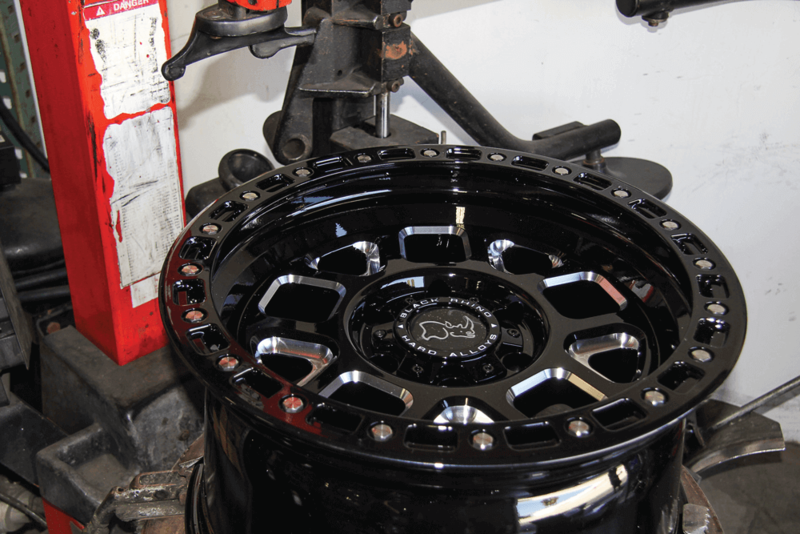 The Black Rhino wheels and Pirelli Scorpion AT rubber were then mated and properly balanced before being bolted onto the truck. They looked just as slick as expected. 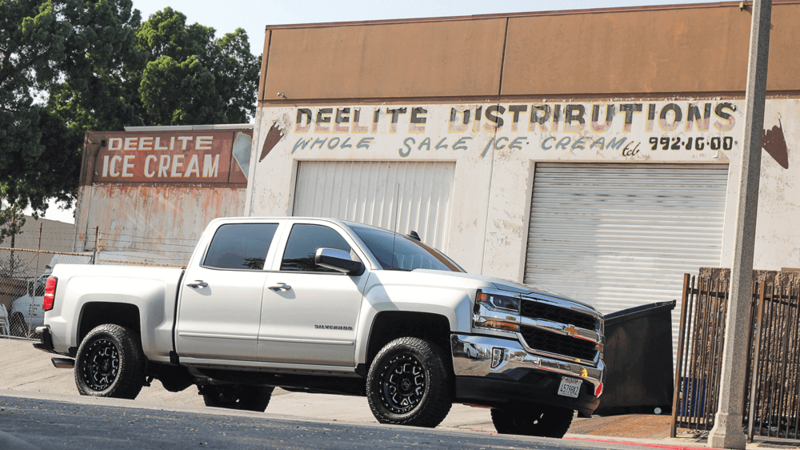 The Silverado now has a completely new look and an attitude that can’t be ignored. 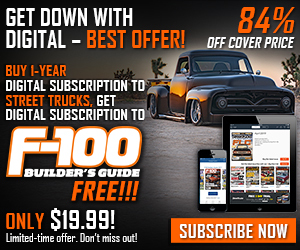 The lift might not be mentioned in anyone’s definition of “extreme” but the 3-inch front leveling did boost more than just the front end ride height. The truck now has an appearance of confidence, and real readiness thanks to its new rolling attire for whatever roads lie ahead.